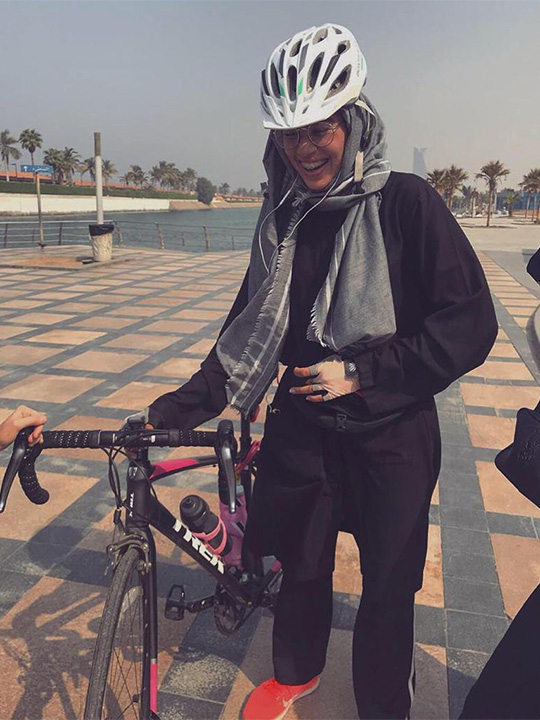 Jeddah: On a warm and breezy weekend, 25 young women wearing cycling helmets and kneecaps on their trendy sports abayas whizzed on their cycles at the newly built cycling track along Jeddah’s beautiful Red Sea coastline. Nadima Abu Lanayin, an 18-year-old cycling enthusiast, led the way. 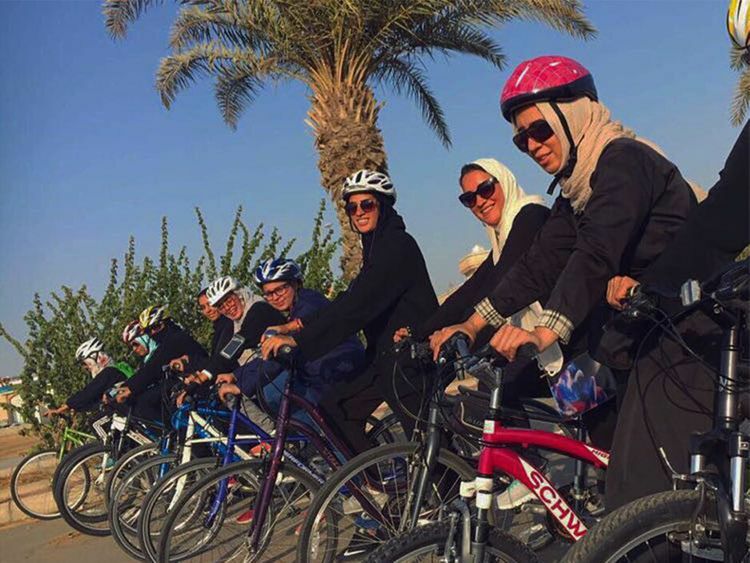 “The feeling of cycling together under the Saudi skyline is indescribable. Its such a freeing feeling. You are just on the cycling track yet you feel you can go anywhere you want,” said Abu Lanayin. 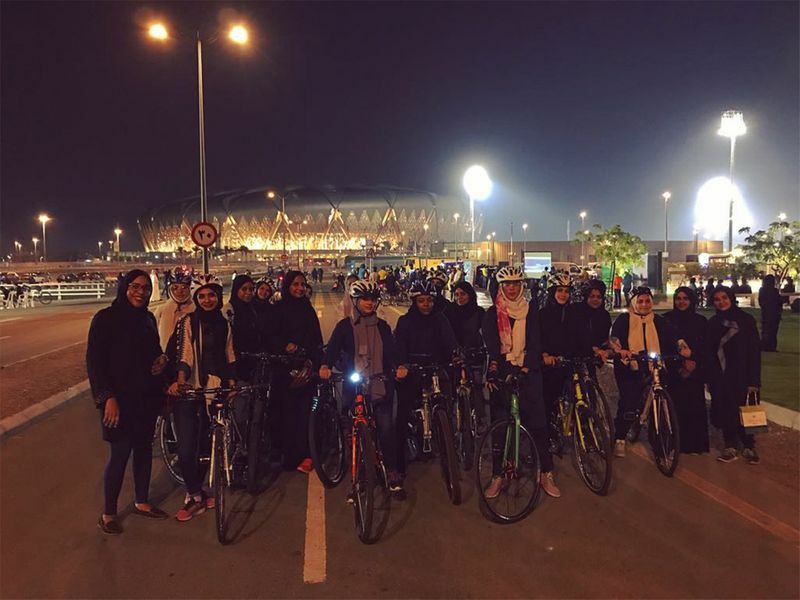 The passionate Saudi cyclist is the founder of the first known ladies cycling group Jeddah Woman Cyclist in Saudi Arabia. Abu Lanayin credits her mother for teaching and instilling a life long love for cycling in her. As a child, she would cycle almost everyday within the walls of her housing compound or at nearby parks. 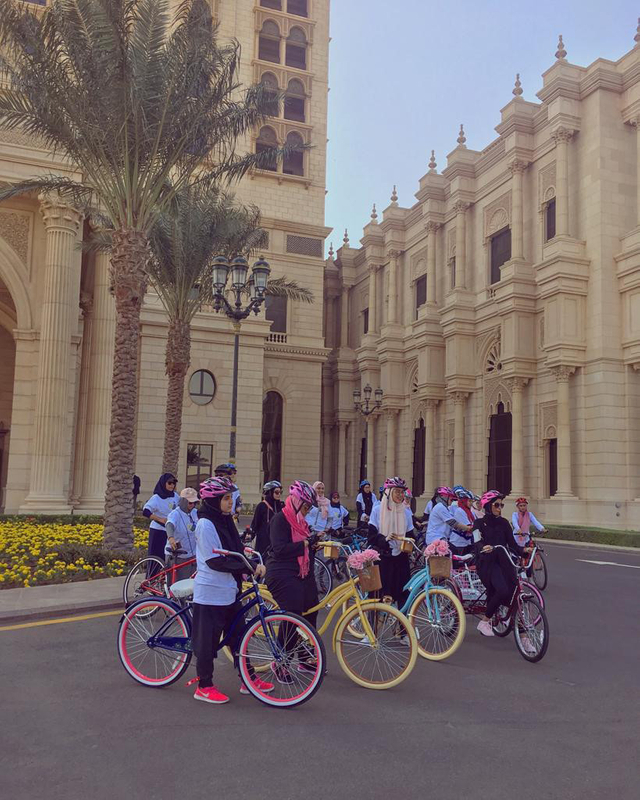 Abu Lanayin tells Gulf News that while growing up, she constantly reminded herself that one day she would found the first ladies cycling community in the kingdom. “I wanted girls and women to get out of their homes and experience this beautiful sport,” she says. “Not to mention it has many health benefits such as increased cardiovascular fitness, muscle mass and vitality. I also wanted them to break free from the fear of social boundaries,” she said. With the support from her parents, Abu Lanayin founded the ladies cycling group two years ago. She created a page on Instagram where she posted picturs and videos of herself cycling with her mother and sisters to encourage ae following. Within a short span of time, she had amassed more than 7,000 followers. Today, there are 500 active members and depending on their family, work, and school commitments they come together to cycle in small groups, says Abu Lanayin. The cyclists, who coordinate the route, time and place on WhatsApp, cycle at recently-built cycling tracks near the seaside, at the Al Johara Stadium, or anywhere where there isn’t much traffic. “We do simple stretching exercises before and after cycling. The beginners just cycle for a few kilometres while the intermediates cycle up to 20-25km and the pros can go up to 40-50km. There is a different day for each level,” said Abu Lanayin, who meticulously plans and organises each cycling meet. Managing cycling groups and school work gets difficult sometimes for the high school cyclist, but it’s her passion for cycling and strong family support that motivates her to pick up her bike 5 days a week and lead. Jana Yahya Sulaimani, a 17-year-old Saudi national, cycles on weekends with the group. “Cycling is such an enjoyable and fun sport. I feel so refreshed and mentally relaxed and look forward to the rest of the week with positivity,” she said. Abu Lanayin feels immensely proud of herself for achieving success in a short time, but not before being subject to criticism and negative comments online and from some friends and passersby. But with recent socio-cultural changes taking place in the kingdom, society is learning to adjust. “Teaching novice cyclists how to balance and cycle fills my heart with joy,” she said.